We will make your dock the way you want it with custom created dock designs. 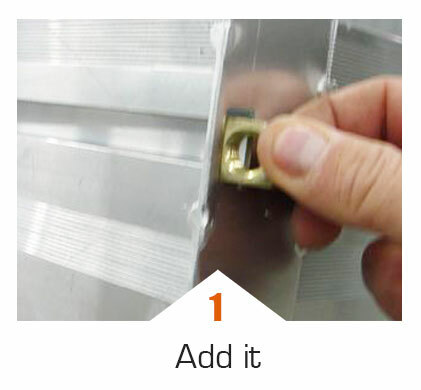 Our accessory channel allows you to add accessories anywhere without ever having to drill a hole. We can create docks at any length, configuration and you can choose from 2 widths. 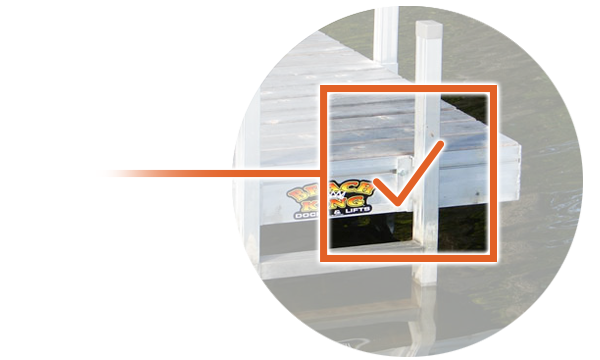 A solid construction and durable design will keep your dock looking great! Beach King has the option of welding the dock sections together creating one very stable dock system. Our superior stability also comes from our 2”X7” tall tube construction and 16” on center stingers. We will make your dock any way you want or if you want it in sections we can custom create your dock exactly to your specifications. 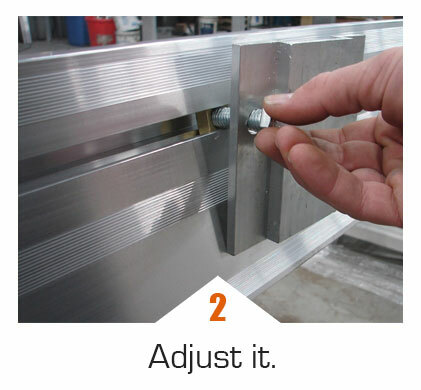 Removable decking also means the unit is lighter making installing and removing the dock that much easier! Contact us and see which raising systems best fits your shoreline. Create a dock to fit your needs! There is no need to worry if you want a 4’ or a 24’ dock. 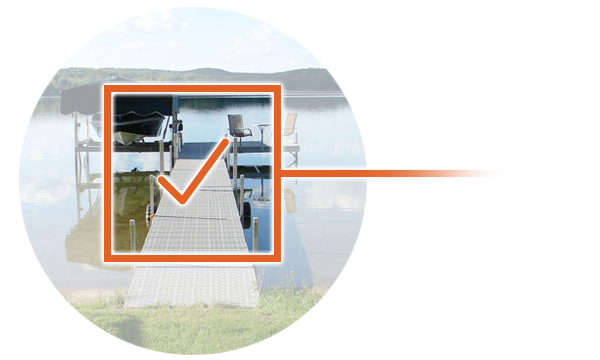 All docks are custom designed with your specific needs in mind. 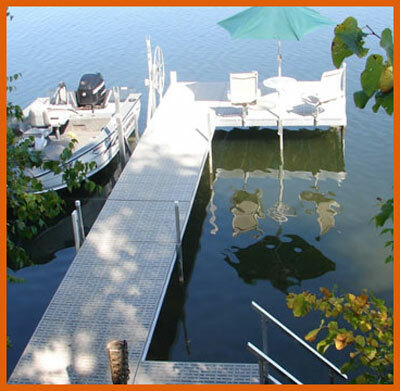 We can create docks at any length, configuration and the width can range from 3’ to 8’ wide. 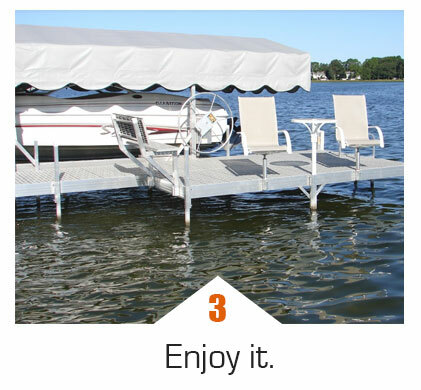 With a variety of decking options to choose from you can feel great about having a one of a kind dock. 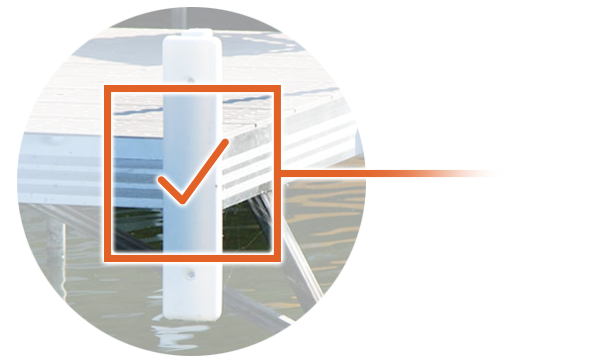 A solid construction means not only will our docks be more durable but weeds, debris and spider webbing won’t be able to get stuck in the frame’s construction around your dock. This will keep your dock looking great!